All of us have had role models throughout our lives, people we have looked up to, have gone to for advice, and persons who have helped to mentor, mold and shape us in a Godly manner. More than likely this included our parents but also there have been others such as pastors, Sunday School teachers, and older ladies and men in the church that have had a definite impact on our lives. Recently I was invited to Salem Baptist Church in Monticello for a WMU Tea. 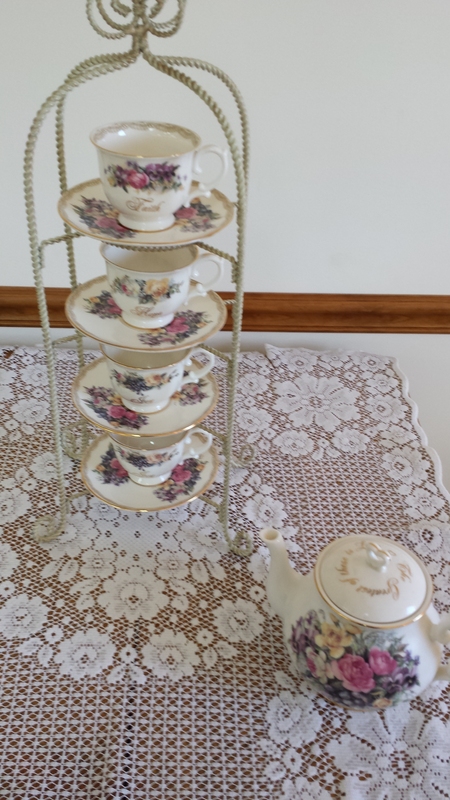 The fellowship hall was decorated beautifully with teapots, teacups, and lots of lace. Some of young girls had on hats and there was lots of tasty teas and food. As a tea drinker and a collector of teapots I felt like a little girl at a tea party. The theme for the day was “Celebrating 125 Years of Missions with WMU!” The celebration was a time of looking back to former church ladies that had served as role models and had influenced our spiritual lives in so many ways. Although some of the role models had passed away, a few had actually brought their role model with them. As each lady shared many tears were shed. It is special to look back and remember those who were role models in our lives. But, we must also realize that we are now the role models for those coming behind us. What kind of role model am I? What am I teaching those coming behind me? We think of missionaries sharing the gospel around the world but we too may be a “missionary” to some young person right in our home or church.